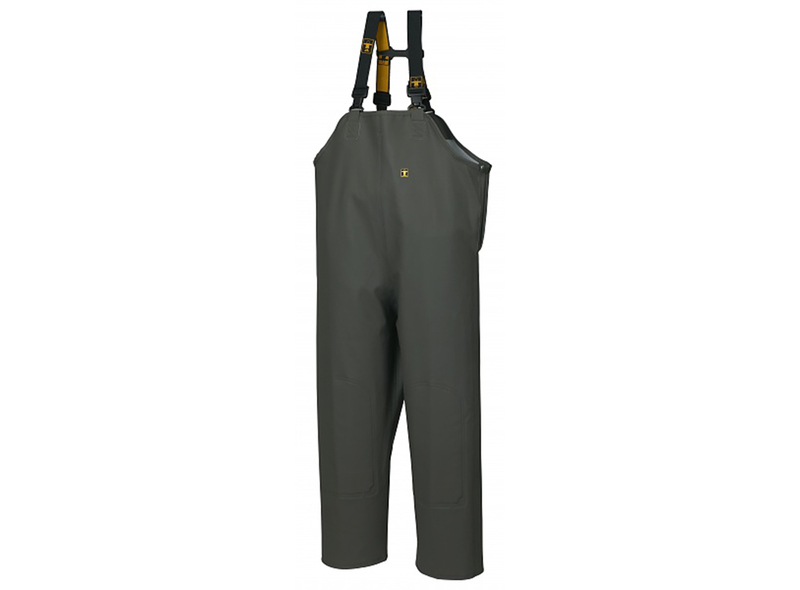 Set of high bib overalls, front and back, with waterproof knee pads. This set is made from a fabric called Glentex. Glentex is the most popular fabric for protective clothing such as raincoats.